As we prepare for the holiday season, it’s fun to reflect on our family traditions and those things that warm the heart. One of my favorite traditions actually begins in November with the decorating of our Christmas tree. Ever since the children were little, we have given them full reign for decorating the tree. 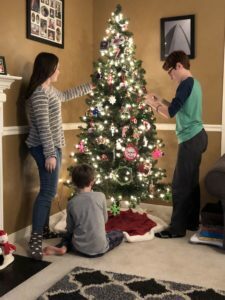 We aren’t caught up in competing with the Joneses for the most perfectly decorated evergreen, so whatever the kids do to our tree is acceptable and loved. There have been years where all the ornaments were clumped in one section, marking the height of the youngest who could only reach so far. We stopped adding tinsel when the kids were babies, and our tree topper changes each year as the kids take turns choosing their favorites. We’ve had weighted ornaments pulling down limbs, dragging their glittered sparkles along the floor as traditional white lights glisten in the background. We’ve swept up broken glass from the ornaments caught by the cat and one year had the entire base of the tree empty to avoid a toddler from grabbing and pulling off ornaments, nearly toppling over the tree. 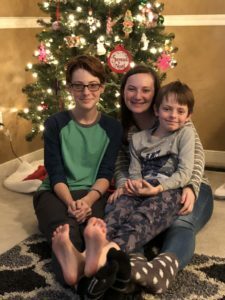 When we decorate, we have Christmas music playing as the children wait anxiously to open the official ornament box, a well-worn, simple cardboard box with layers of clear packing tape along the edges marking decades of travel and use. With a slice of the scissors across the seam, the box bursts open and we are reminded again of the memories this unassuming container holds. 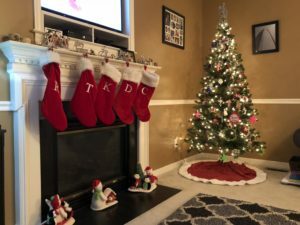 Our ornaments vary from handmade to store-bought, each playing a role in the stories of our family, from reminders of our wedding day in 1994 to each year a new child arrived. When we first got married, so many years ago, our Christmas tree was a meager three foot tree that stood on our cedar chest in the living room, a thread of popcorn and cranberries wrapped around to compensate for the lack of ornaments we could afford to buy or make. Since that time, our tree has grown well over six feet with countless memories captured and on display. As part of our #CompelledTribe task to spotlight a treasured holiday tradition this month, I would love to share a few ornaments with you with the stories that make them special. 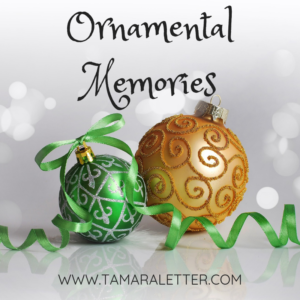 Perhaps they will fondly remind you of the ornamental memories you have in your home, too! I love when teachers carve out time in their busy teaching scheduled to allow time for students to create holiday gifts for their families. Oh, if they only knew what treasures these are! 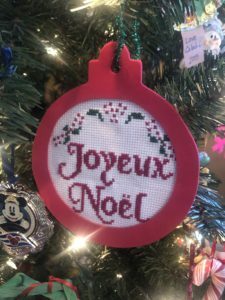 When Daniel was in fifth grade, his teacher, Mrs. Post, challenged them to create a cross-stitched ornament to give away. Even though I was an avid cross-stitcher in my youth, my son had no clue this used to be a passion of mine. He was simply completing the task set before him. However, with each needle he flossed and each stitch he created, he poured himself into making a memory that captured time, dedication, talent, and love. Each year he chooses to hang this ornament and we recall all his favorite teachers in the process. He always reminds me that he didn’t finish the bottom part, and I always remind him that it’s perfect the way it is. I love that he proudly displays this on our tree and never once worried about someone teasing him for cross-stitching a gift. He knew then, as he knows now, that this gift has my heart for so many reasons! As we decorated our tree last year, our sweet cat, Pinky, curled underneath, her white fur blending in with the white trimmed edge of our tree skirt. Two weeks before Christmas, with both Katrina and I out of town, she passed away after almost a decade in our care. 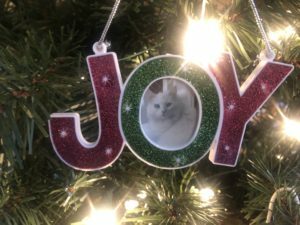 This year, we have a JOY ornament to celebrate the joy she brought into our lives as the only cat we’ve ever owned. She was given to us by a friend and was the cuddliest cat you’ve ever seen. 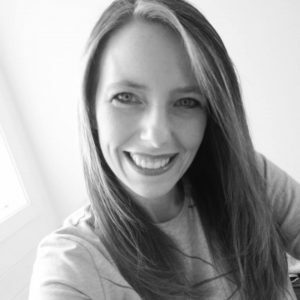 She was a princess in our home, an indoor cat who loved to taunt Flash, the neighborhood boy cat who would stretch out along our front porch, purring for attention. Our youngest child, Caleb, adored Pinky and she cemented in him the idea that cats really do rule the world. She loved to chase a long, green fishing line around the house and greeted everyone at the door as if she was the maître d’. He made sure this ornament was front and center on our tree this year. In 2009, I was a new mom again, having given birth to my third child a mere nine weeks before. 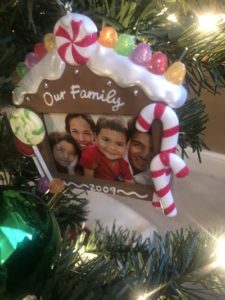 As a Christmas gift from Mom Letter, we received the annual Hallmark ornament, a cute little gingerbread house with a place to spotlight a family photo. As any new mom can attest, I was exhausted and frazzled that holiday season and ended up packing away the ornament without replacing the stock photo that came with the frame. When 2010 arrived, I hung the ornament on the tree without paying attention to the fact that I had neglected to change out the photo. During that holiday season, someone pointed out the error and in the moment, I simply laughed at my ignorance, passing off the faux pas with a joke. At the end of the season, I packed away the ornament once more, the photo unchanged. Each year when I see this ornament I chuckle, remembering the year I was too busy to add a photo. Now, I have plenty of time to make the switch, but the memory is so funny to my soul that I keep the ornament as it is, and hang it from our tree. 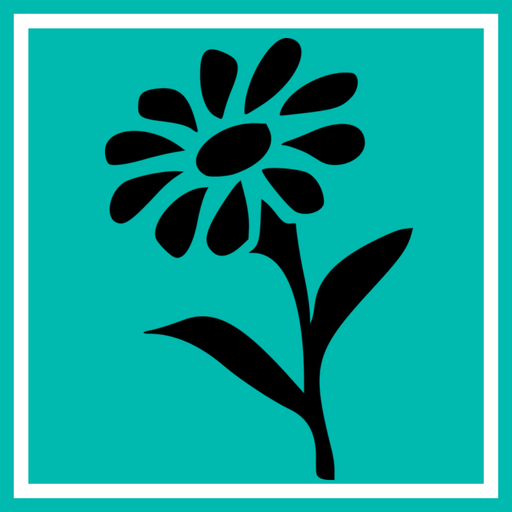 I am reminded of the pursuit for perfection, at which I fail miserably quite often, and the peaceful contentment that comes with accepting myself just the way I am. As mentioned above, I love ornaments made in school. 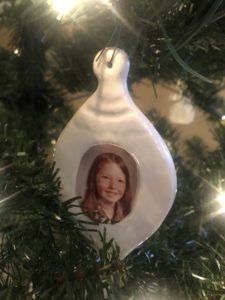 When I was in Mrs. Norwood’s fourth grade class, we had a PTA parent use a copy of our fourth grade school picture to create a personalized ornament for our family. I proudly gave this ornament to my mom and she carefully hung the delicate ceramic near some other handmade ornaments I had created over the years. Of the decades of school photos I brought home, this was the only one I ever liked. I remember my mom being so excited for me to wear the green corduroy jumper, my monogrammed initials woven in navy blue across the front. My hair was long, as it is now, a simple hairstyle with a part in the middle. When my mom passed away last year, her husband Bob gave me the ornaments I had made for her in my childhood as part of my Christmas gift. This particular ornament brought me to tears, as the flood of memories poured into my heart, the heartbreaking loss of my mom all the more real. Now the ornament is hung on my tree, tucked a bit within, almost 40 years old in the making. Perhaps, one day, it will hang on the tree of my children and grandchildren, too. Now that the kids are older and taller, I no longer have to hang the higher ornaments and I can sit back and watch the transformation take place in front of my eyes. It is truly a magical moment to behold! We often finish our task with hot chocolate and a cookie or two, and finish decorating the rest of our home to be ready for the holidays. If you have a treasured tradition, I would love for you to comment below! It’s always fun to get to know one another better with the moments that resonate on the heart. From our family to yours, we wish you a Merry Christmas, Happy Holidays, and restful time to restore and renew as we look forward to a brand new year around the corner!